All children are born brilliant. It is up to us to help them find the passion that will lead to their brilliance. Get access to THREE FREE CHAPTERS! *What is the most important question you have about your child�s education and potential? We HATE spam. Your privacy is important to us. "As soon as I read the first thirty pages, I was not only surprised, I was slightly overwhelmed. I could not put it down. … Here was a book that went considerably beyond what I ever learned especially in the area of home schooling." 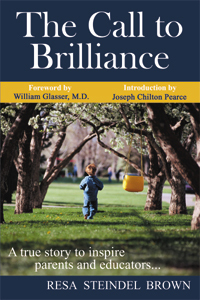 "This is quite simply the best book on education ever written. But it is much more than that. It is a fine (nonfiction) novel. It has a plot, characters, a conflict, a theme and builds towards a satisfying conclusion…"